Beachcombing along the UK shoreline is a great way to get the family out into the fresh air. So what is beachcombing? Unlike fossil hunting which is looking for very specific items in a limited number of coastal locations, beachcombing extends this to anything found on the beach. The best thing about beachcombing over fossil hunting is you can do it on any beach at any time of the year. Most of your finds are going to be on the high water line and so just avoid the hour around high-tide. The only equipment you need is keen eyes and a creative mind. The excitement of finding something for free that can be recycled or provides the foundation for creating beach art is what beachcombing is all about. You only have to visit a local beach cafe, gallery or if you are staying in a holiday cottage to see beach art on the walls or sideboards. Although beaches can have a lot of ugly waste you can find beautiful pieces, like interesting pebbles, smooth driftwood, shells and polished glass. So what can you find? Keep the lookout for colourful bits of glass. Bottles and jars get broken up over years of wave action against pebbles and sand to produce smooth colourful nuggets of sea glass. 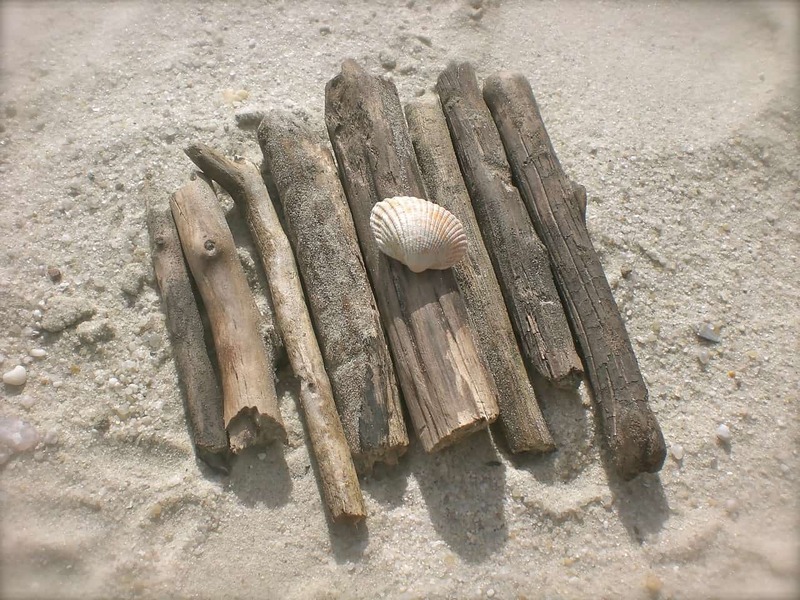 By driftwood we don’t mean large tree branches but often small pieces of water battered and sun-bleached sticks that can be used to make things like picture frames, ornaments or tied to a string and hung in a mobile. You may even find some old fishing nets on the beach that can be recycled into the string for your mobile. 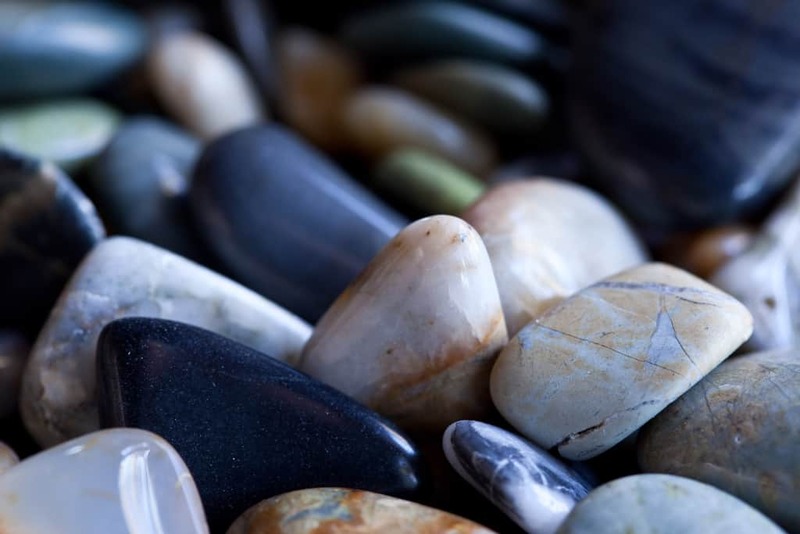 Pebbles on a beach can look so inviting when wet and shiny, and very much like sea glass years of wave action create polished and colourful collector items. At Coast Radar, we love searching for larger flat stones with holes as they can make very nice and simple candlestick holders. Remember to take a break from your searching and have a pebble skimming competition. 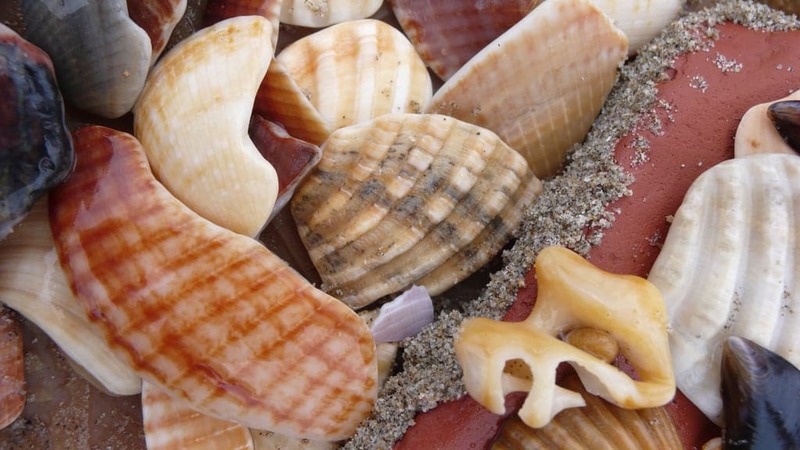 No visit to a beach would be without a collection of shells. For those creative amongst you then don’t just settle on perfect complete shells but look out for those with holes and then add them to some string with driftwood to make a great seaside mobile. Unfortunately not everything you find on a beach is nice. Today manmade waste and in particular string and plastics is causing problems to our wildlife and environment as a whole. When you are next out and about why not combine a beachcombing visit with a #2minutebeachclean and help the environment. Everything you find on a beach tells a story, often sitting down as a family and talking through the day is as exciting as actually making the finds in the first place. What fascinating things have you found while beachcombing? To share your finds visit our facebook page and leave a picture or even show us what creative art you made. Feature beachcombing photo by Elsie esq.